In many instances when a homeowner is experiencing drainage issues on their property, proper grading of the property will usually solve the issue. 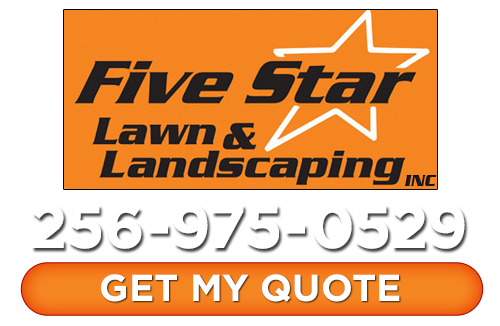 When you are unsure of the cause of your property’s drainage issues, it is always recommended that you seek out the guidance of a Huntsville landscaping professional that can help you assess your problem and advise you as to the correct solution for your particular issue. Most drainage issues actually require multiple redundant solutions to be installed before the problem will be fully corrected. 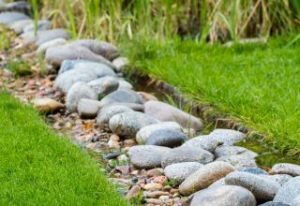 If you do need new drainage solutions installed on your property, there are a variety of different solutions available to help draw the excess water away from your landscaping. Most of these are fairly easy to install and low profile, so they won’t be extremely noticeable after they are installed. Many area drains consist of a simple drain that is connected to an underground pipe. These types of drains can be perfect for low areas in your property that are constantly retaining water whenever it rains. By directing the water away from your home and out into the street, you can help to preserve your landscaping and your home’s foundation from damage while also helping to prevent the formation of mosquito breeding grounds. One of the best ways to help save your lawn or garden from patio runoff is by installing a channel drain system. These drains are essentially just long channels that are installed into a concrete surface, like your home’s sidewalk, which helps the runoff water to successfully run down into the pipes below the surface. This works to help effectively carry the water away from your home. Many landscapers actually recommend installing this type of drainage system around pools to help protect your lawn in the case of unexpected flooding. French drains are a wonderful drainage solution for any of your raised planters and other landscaping because This style of drain utilizes a drain wrapped in landscape fabric and then covered in rock. This combination helps to keep roots and soil from clogging up the drain. Foundation drains work to direct water away from the foundation of your home and keep the moisture from entering into your basement and causing structural damage and cracks in your home’s foundation. Most new constructions require these types of drains to be installed, but if you have an older home, your foundation might not be protected. These types of drains are installed both around your foundation as well as under them. When properly installed on your home, gutters are an excellent way to control the water runoff from your roof. Properly installed gutters will work to direct the water from your roof away from your home, yard, and your landscaping as opposed to letting it run off directly into your yard. By extending the spout on your gutters, you can actually divert the runoff even further away from your home, protecting both your yard and your home’s foundation. If you are looking for landscape drainage or grading services in Huntsville, give us a call today at 256-975-0529 or fill out our online request form.